Pakistan is one of the most pernicious persecutors of Christians ever. 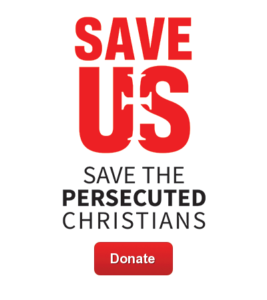 Pakistani Christians are tortured, raped, and burned alive. Some – like Christian mother of five Asia Bibi – are falsely accused of blasphemy and sentenced to execution by hanging because of their faith. Others face mob violence and governmental abuse and injustice. Despite the increasing extremism, the Pakistani government persistently fails to protect Christians from violence or bring its perpetrators to justice. Even worse the government of Pakistan itself is one of the world’s worst jihadist persecutors of Christians. Yet it receives the most U.S. foreign aid of any nation.